Andy Serkis is a well-known actor, both in front of the camera and… behind the animation, as one of the world’s most famous motion-capture models. You’ve seen the results of his work as Gollum in the Lord of the Rings trilogy, and also in movies like King Kong and Rise of the Planet of the Apes. Now Cartoon Brew has passed along the word the Mr. Serkis is looking to direct his own feature film — and wouldn’t you know it, he plans to do it using mo-cap! 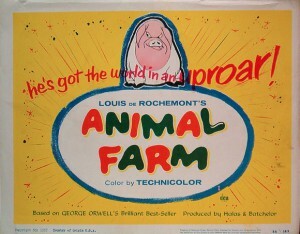 George Orwell’s famous allegorical fantasy Animal Farm has been filmed before of course, via traditional animation and also puppetry. Now Mr. Serkis has bought the rights to the story and has it currently in development, hoping to direct the film himself. No word yet on a projected release date, but Mr. Serkis is currently working on a “proof of concept” short film to help him secure financing. 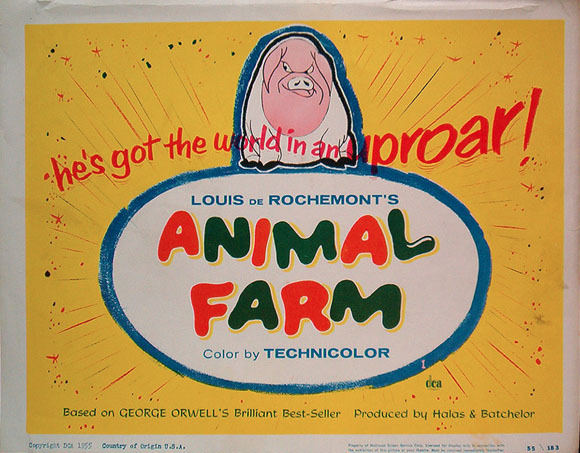 "Netflix Buys Andy Serkis’ ‘Animal Farm’ Adaptation"